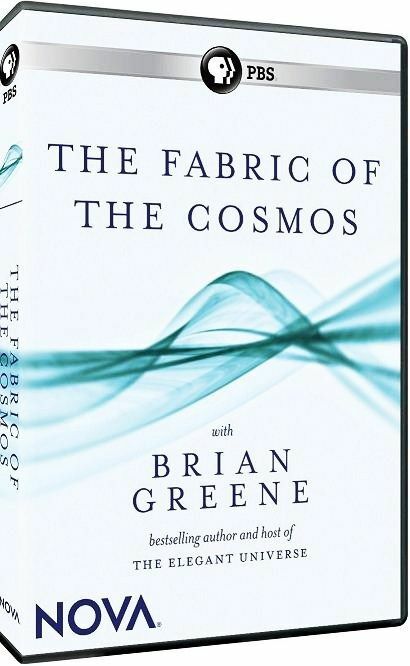 The Fabric of the Cosmos "The Fabric of the Cosmos," a four-hour series based on the book by renowned physicist and author Brian Greene, takes us to the frontiers of physics to see how scientists are piecing together the most complete picture yet of space, time, and the universe. With each step, audiences will discover that just beneath the surface of our everyday experience lies a world we’d hardly recognize a startling world far stranger and more wondrous than anyone expected. Brian Greene is going to let you in on a secret: We've all been deceived. Our perceptions of time and space have led us astray. Much of what we thought we knew about our universe—that the past has already happened and the future is yet to be, that space is just an empty void that our universe is the only universe that exists — just might be wrong. Interweaving provocative theories, experiments, and stories with crystal-clear explanations and imaginative metaphors like those that defined the groundbreaking and highly acclaimed series "The Elegant Universe," "The Fabric of the Cosmos" aims to be the most compelling, visual, and comprehensive picture of modern physics ever seen on television. You can't see it, touch it, or taste it, but space is everywhere. And it's not just an empty void. Surprising clues that space is "something" rather than "nothing" are overturning much of what we thought we knew about the universe, and may even hold the key to its ultimate fate. We waste it, spend it, make it, and kill it, but what really is time? Is it like a river that flows, a clock that ticks, or nothing more than an illusion? Join a time-traveling adventure to uncover the true nature of past, present, and future--and of time itself. Take a wild ride into a bizarre realm where it seems the impossible is possible. Objects pop in and out of existence; things can, in a sense, be in two places at once; even teleportation is real. Welcome to the weird world of quantum mechanics. On the scale of atoms and particles, the universe is nothing like it seems. Is our universe unique, or could it be just one of many in an endless "multiverse" where copies of you, me, and everyone else may exist? This radical idea is getting some serious scientific attention, and could revolutionize our picture of the cosmos--and our place within it. This page was last modified 12:18, 12 June 2014.